Originally, this post was going to be all about the Type One Nation Summit that took place this past Sunday. The Summit is a day full of inspiration and education surrounded by others with type 1 diabetes. There is a vendor fair, keynote speakers, and break-out sessions covering a wide range of topics such as psychology and diabetes, latest diabetes research, and tips to manage and thrive with diabetes. Last year’s Summit was a great experience! I got to meet Sierra Sandison, who has type 1 diabetes and was Miss Idaho in 2014. She started the trend #showmeyourpump after visibly wearing her insulin pump during the competition. Last year’s keynote speaker was Crystal Bowersox. She was a runner up on American Idol a few years ago and also has type 1 diabetes. I was definitely looking forward to attending the Summit this year, but unfortunately I was unable to go. I have had some health issues lately and have not been feeling well, which is what I will talk about in the remainder of this post. I also had two nursing exams early this week that I needed to study for. There’s always next year! I have not been feeling well since the middle of October. I have been completely exhausted lately; all I want to do is sleep. It started with either my seasonal allergies acting up or a cold, as I had a lot of sneezing and sore throat. Over that weekend, I started having pain in my stomach and lower back, worse on the right side. This pain progressively worsened to the point where I went to the emergency room. In the ER, I was diagnosed with acute pyelonephritis (kidney infection) and given an antibiotic. I was told to follow-up with a primary care doctor in four days. However, I did not have a primary care doctor; it is extremely hard to find a doctor that is accepting new patients! Fortunately, I was able to find a nurse practitioner who was accepting patients, and I scheduled my follow up appointment as soon as I could get in–2 weeks later. By the time I had my appointment, I had finished by course of antibiotics and still was not feeling much better. I was very worried that having this kidney infection would cause kidney damage, as this is a possible complication, and I would have to be on dialysis. I refused to take any Ibuprofen for my pain because I was worried about the medication causing more damage to my kidneys. I had my appointment yesterday, and he does not think there is any damage to my kidneys. He also believes that I was misdiagnosed in the ER. Instead of having a kidney infection, I have a bladder infection/severe UTI. I was also not given the right antibiotic, so I am on a new antibiotic course. I also was prescribed medications to help relieve my symptoms and to prevent me from developing certain complications from having two antibiotic treatments in less than a month. My estimated A1C drastically jumped from 6.4% to 7.5%! Being sick typically causes higher blood sugar. 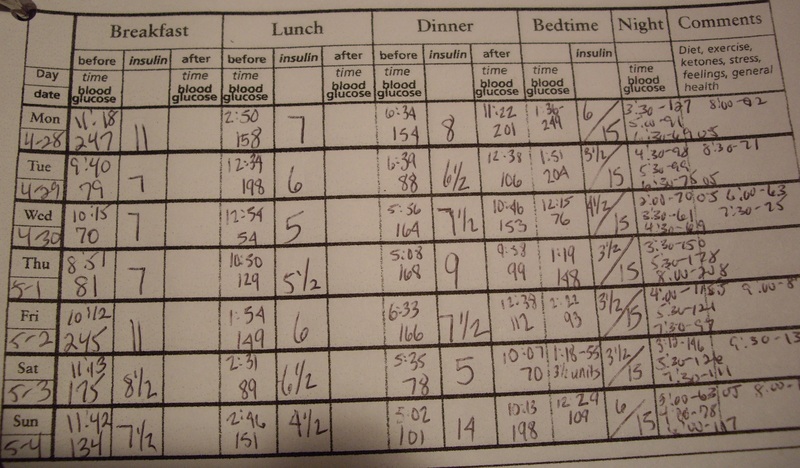 Plus I had been so exhausted and drained that I was not managing my diabetes as well as I should have. When I say all I wanted to do was sleep, I literally mean that! I found a research article, “Infections in Patients with Diabetes” that discusses the relationship between diabetes and various infections. Generally, in people with diabetes, infections are more frequent, more serious, and increase the risk of complications. This is because diabetes impairs parts of the immune response so it is tougher to fight off bacteria and viruses. High blood sugar can also contribute to the increased susceptibility of infection. People with diabetes are twice as likely to develop UTI, and acute pyelonephritis is 4 to 5 times more common. As if dealing with this infection weren’t enough, I also found out that I need to have oral surgery! During a routine dentist appointment/xray in September, an oral lesion was found in my lower left jawline. I was referred to an oral surgeon, who I saw last week, to determine what the lesion is. Fortunately, they do not believe it is cancerous, but I can’t remember the medical terminology he used for the lesion. Right now, the lesion is not an emergency, but it could be and how soon we don’t know. My last x-ray in 2012 did not show this lesion, so we do not know how fast it is growing. The lesion could continue to grow and cause problems and turn into an emergency. So I am opting to have surgery over Christmas break to prevent this from interfering with school. As always with surgery and having diabetes, I am scared. This surgery is going to be quite a process. The lesion will surgically be removed along with two teeth that it is attached to. A bone graft will be put in to prepare for implants. One thing that complicates the surgery is the lesion is very close to the nerve, so I could potentially have permanent numbness/paralysis on that side of my face. For a week after surgery, I will need to rest, and I will be really swollen since I won’t be given any steroids (they sky-rocket blood sugar). After about three months of healing, I will be able to get implants. With all these health issues, not feeling well, and thoughts that circulate my mind, I have been stressed and exhausted. It has been a rough time lately, and I am looking forward to someday, hopefully soon, feeling better! Today I had my doctor appointment that I have every 3 months to discuss my diabetes. My A1C is 7.2 for the second time in a row. This is great, but I felt somewhat disappointed. I was expecting it to be less than that, maybe even under 7. I feel that my blood sugars have been the best they have been. Of course there’s some ups and downs in the numbers, but the amount of 200 and above blood sugars have decreased dramatically. After I heard my A1C I began thinking. What could I have done differently? Why hasn’t it gone down? I thought I had been doing so well. The A1C test measures the amount of hemoglobin on the red blood cells. The life span of red blood cells is about 4 months, so depending on how long my red blood cells have lived, some of the cells from when my blood sugar was higher may be lingering around, thus affecting my A1C. But there’s really nothing I could have done differently. I’m doing a great job (even my doctor said how well I’m doing and we didn’t make any changes). It’s just me being me. Being a perfectionist who has to know all the answers and have everything in control. But diabetes will never be perfect. It will never be in perfect control. If I try to make it all perfect, I will burn out and make myself crazy. What diabetes comes down to is numbers. Constantly judging numbers. The A1C and blood sugars are just numbers. As long as I’m doing the best I can, I shouldn’t let the numbers bring me down. An A1C of 7.2 is great, and I am proud that I have remained consistent.